Find My Workspace lists over 95% of the executive office suites market in Denver. Simply click Request Quote to check pricing for one office, or Add to Basket for multiple offices. This collaborative workspace offers fully furnished and equipped executive private office suites, open-plan office space and co-working areas. Situated in a striking brick-faced industrial building, this three floor tech-powered work space is a great choice for your new offices. The engaging and collaborative work environment is perfect for those who don’t want a conventional office and prefer a more relaxed office atmosphere. The center further holds regular client appreciation events, perfect for networking and sharing collaborative ideas with the other professionals who also work within the center. Say goodbye to the windowless box, the colorless cubicle farm, the clutter that arises from combining home and office. At this center you’ll find the flexibility and functionality you’ve been craving – everything you need to unleash your potential. This center understands that launching a business as a solo entrepreneur, or working virtually as part of a small team can sometimes feel isolating, so this space helps to facilitate collaborative learning in a stunning environment. Attend events and mixers for members, training and seminars, or put yourself in the spotlight by hosting a workshop or two. For start-ups and small businesses, freelancers and creatives, philanthropists and activists, writers and developers, designers and solopreneurs, let this be place where your work comes to life. This workspace is thoughtfully designed to bring you both collaborative and private workspaces to suit your individual needs. Members have access to private phone rooms, conferencing rooms, break-out areas and a new mothers room as well as plenty of other amenities such as craft coffee and local Denver treats to keep you and your team going throughout the working day. Large Open Office + Reception + 2 additional Offices, This PLAZA of office building complex is centrally located in Denver. Easy access to the I-25 freeway, only 10 minutes from DTC, 5 minutes away from the Colorado Blvd Office District and convenient nearby retail makes this a prime location for any business. Along with Great property features, you’ll definitely want this to be your next space: Short-Term and Flexible Leases are always Available Nightly Janitorial Cleaning included Ample Parking and Covered Parking, Great Incentives, Free Conference Rooms Available, Shopping and Dining just steps away, and a Great Central Location. Coworking space and private offices are available, and include the following amenities; High speed internet (WiFi/LAN), secure mailing address, 24-hour access, printing and free scanning, reserved conference room time, unlimited drop-in hours, access to mobile and lounge space, free coffee, tea, and beer, invitations to all networking events and contracts that can be customized to your business needs. This workspace is located in a unique building, located on N. Speer Blvd and offers a wide range of offices, available in a variety of sizes – all offering premium amenities. This stylish space has large interior and exterior windows, exposed original brickwork and beautiful layouts throughout, with a full sized kitchens bathrooms and showers on-site. There are two large meeting rooms with projectors and tv’s for presentations available. The space also offers virtual office solutions and mail handling for pickup, reserved covered parking is offered at $175 per month and $130 for reserved uncovered parking. The entrepreneurial community in Denver is flourishing and this center is here to support the innovative work happening all around it. It provides innovative, functional spaces for your growing business as well as services specifically tailored to support your needs. It fosters a mindset of collaboration and love to watch members meet their goals. 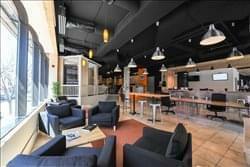 Accessible 24-hours a day, both private serviced offices and coworking spaces with dedicated desks are available, and the center has a range of on-site amenities, including; break-out and lounge space, a board room, printing and copying facilities, conference facilities, meeting rooms, an on-site management team and administrative support. There is also parking available, as well as an office cleaning service, good transport links and a fitness center on-site with showers – perfect for that after-work workout. Option(s) from Full Lease, to CoShare, to Temp Office Space(,as well as Fully Serviced Offices. Workshops welcome, especially in the Creative industry. TERMS: from Long Term, to Co-Share or Temporary offices – all available, priced accordingly. So if you are a single business, looking to Lease outside of city, yet close enough you avoid traffic and expensive parking. Or if you are a small team seeking low-cost, open seating CoWork memberships. Onsite IT Support and Consulting Available, or Inclusive in Lease terms. 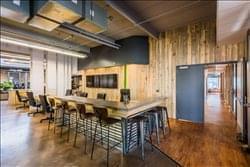 Denver’s newest, CoShare space for small business, 10-20 Corporate teams, or SMB Startups with a modern industrial, and cozy feel. This is a shared office space (co-working space) for content creators, podcasters, bloggers, and content marketers. Come to enjoy working amongst other content creators, online marketers, and entrepreneurs. Here you can draft blog posts for our members each month. Schedule a time to tour this content creation powerhouse! This center is a high-end, concierge-focused collaborative office workspace serving individuals and organizations of all sizes. From the on-site café, to the member-centric B2B partnerships and exclusive car rental platform, this space is are dedicated to delivering a full ecosystem of products and services to members that declutter their lives and enable them to focus intently on what matters most to them. Amenities include: 24-hour access, break lounge, cafe, conference facilities, copy and print facilities, flexible terms, furnished offices, meeting rooms, and reception services. To obtain information for your selected Denver Executive Office Suites, please tick the "Add to basket" box for each office you prefer and complete the form below. We will then send a detailed report via email.